Mount Mayon taken from the airport arrival in Legaspi. Hello big guy! We set off a couple of weeks ago to Legaspi, about an hour flight away from Manila and home to the very visible, omnipresent Mount Mayon, an active volcano. 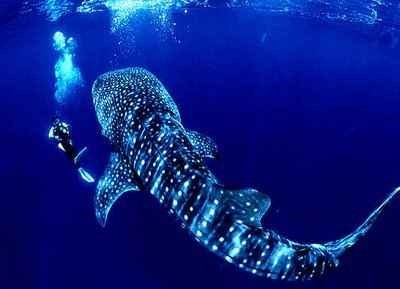 I was taking a group of 40+ people to see the gentle, giant whale sharks that pass through the Philippines at this time of year. 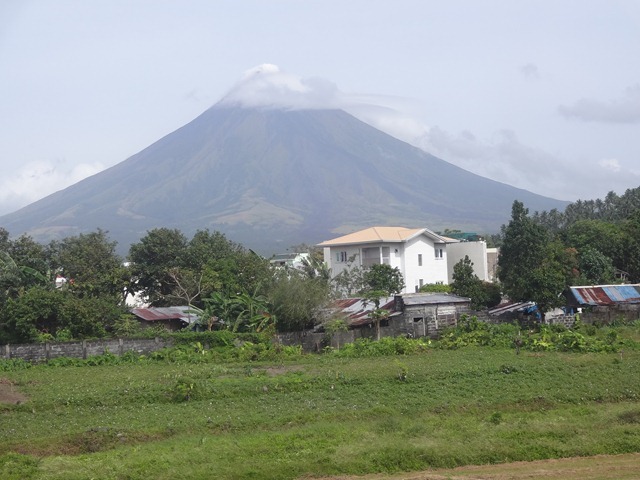 But I’m starting this post with Mount Mayon as its the first and last thing you see in Legaspi. And it watched us all day as we hunted for the whales. Its renowned for its perfect cone shape, and has erupted quite often in recent years. This was the best picture I took as other days the clouds obscured the summit. About an hour ride away from Legaspi, is the town of Donsol, where we stayed at the Vitton Resort. There’s no much there except for a small town, and a resort built around the tourism from the Whales. After a really early start, we arrived at the resort around 11am and headed out immediately for the first watch of the day. 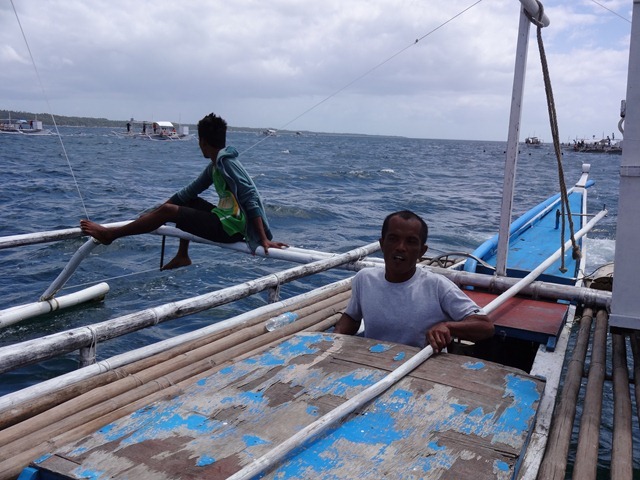 Everyone was put in groups of about six on to traditional filipino bancas. I was quite surprised how large and comfortable they were compared to other bancas I’ve been on, and there was plenty of room for six Western-sized passengers. 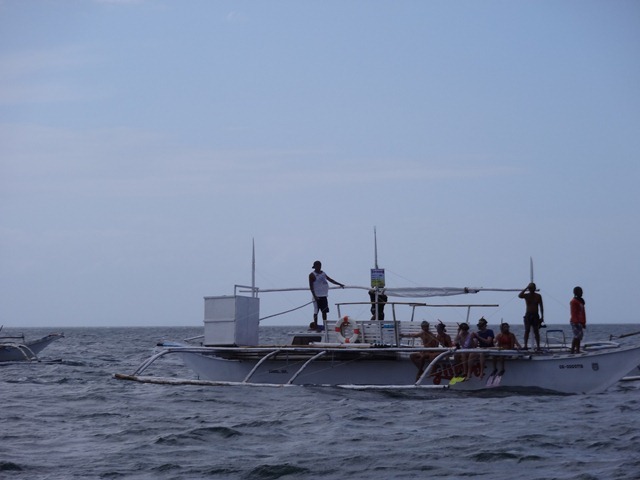 Plus we had a crew of four or five: a captain, a spotter, a Butanding Interaction Officer (official tourist guide, Butanding being the filipino word for Whale Shark) and one or two lifeguards depending on the composition of the group. The BIO guy gave everyone the swimming protocol, which involved listening to him, reacting promptly and avoiding the uncovered rudder underwater. The spotter’s job was to spot the whales, although it was my impression they spent a lot of time watching each other too. There was some secret signaling system where one spotter would see the shadow of a shark and all the other boats would be alert and head over, full speed, to that location. On that first day it didn’t happen very often. We were out at sea for three hours, just puttering up and down the coast, watching another 25 boats doing the same thing. We had a potential sighting twice, but the boats scared the shark away. After a while, my eyelids started to get very heavy, and along with the 4.45am start, and the gentle putt-putt-putt of the engine, my eyes closed and I drifted into a nap. So not much happened, but it was relaxing, good to be away from Manila and out at sea. Shark alert! Everyone race over! It got pretty congested at times. I saw more than one game of chicken, as boats vied for maneuvering space in such close quarters. Then the BIO guy gives the signal to jump! The boat is still moving and you hit the water running so to speak. 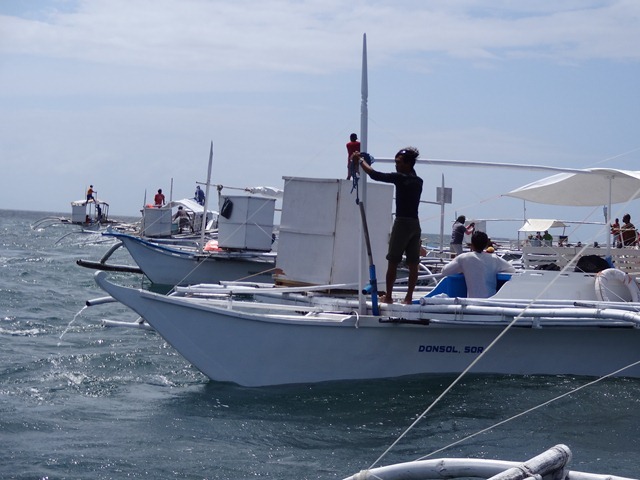 The water was quite choppy and the visibility was limited, because of the high concentration of plankton in the water that attracts them to the area. I was still trying to figure out which way to go when one the lifeguards grabbed me by the arm, pointing ahead and telling me to swim hard. Just as I got my face in the water, I saw it. 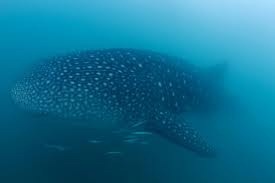 I huge,spotted mass, swimming a few feet underneath him. I was able to keep up with him for about 30 seconds before he out swam me and disappeared into the cloudy water. Thanks to him, I was the first person to see a whale from our boat. I’m also including this heavily photoshopped image from a tourist site somewhere, as it gives a good impression of the animals size in relation to a man. I highly recommend the experience, but its not a passive activity. You are beat by the end of the day! 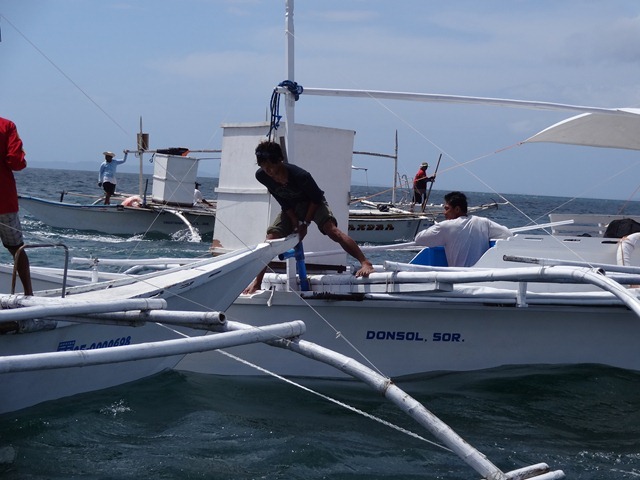 The Butanding Tourist Office is a laudable attempt to put controls in place for both the whales welfare and the tourist’s safety. I never felt mobbed or mistreated and we weren’t treated like cattle. However, some of their own rules were being broken regarding the number of boats per whale because sightings have gone down in recent years, and I worry that so many boats make the experience less safe for us, less attractive for the whales, and potentially unsustainable if sightings continue to drop because of other environmental challenges. But at least some effort is being made to balance the needs of man and nature. An amazing weekend.